We’re partnered with Beyers Analytical Brewing Sciences, LLC (USA) to bring their patented RedCheck Acidity Test Kit to Europe for the first time! We’re offering both their handy starter kits and the test reagents separately to help you implement acidity testing in your brewery, no matter your experience! What is the RedCheck Acidity Kit? The RedCheck Acidity Kits are designed to be used to monitor titratable acidity in beer, wine, coffee, and kombucha. It uses a simple colour forming method to make it easy to get consistent results every time. It is our belief that RedCheck will become an indispensable part of your brewing operation by providing an efficient, easy-to-perform measurement of titratable acidity on beer, wine or kombucha! For more information, resources, and insights into souring processes, check out the RedCheck website! This kit provides 25 RedCheckPSP capsules to replenish your stock. 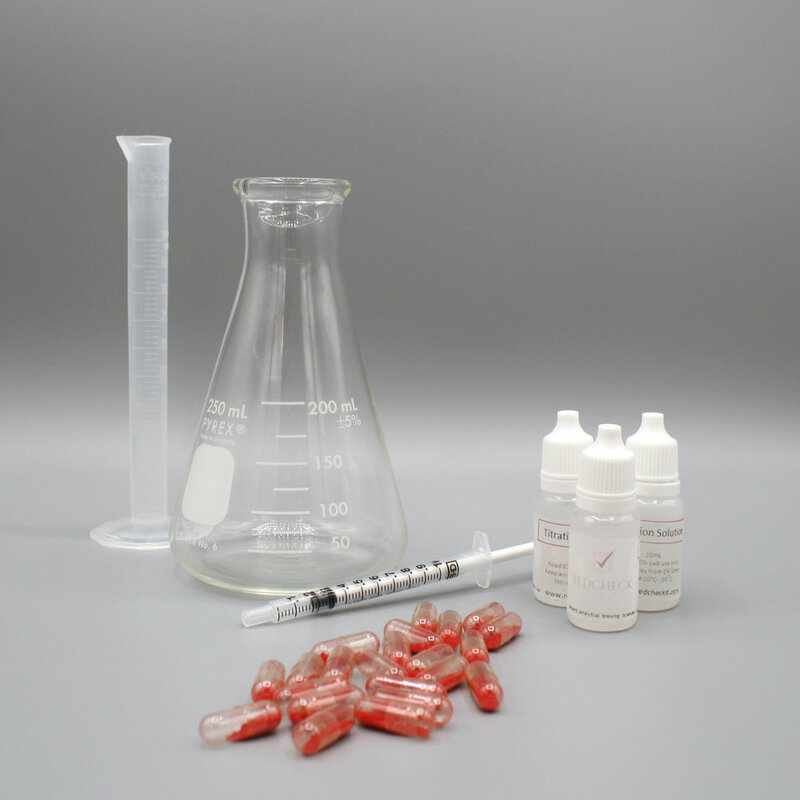 5x10mL titration solution bottles to replenish your stock.